A version of this article appeared in the Montreal Mirror on April 22nd, 2010. Nigel Slater’s Tender gives you a new look at how to grow and cook fresh produce. Spring is here and fresh produce from our city’s hinterland—and our own backyards and balconies—is coming soon. How to make the most of this yield, ever changing as we progress through the growing season, is a question that an ever-increasing number of cookbooks are trying to address. 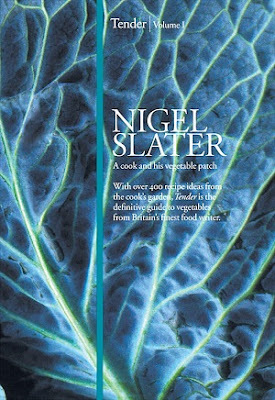 In my view, among the best and most beautiful books of this type are British food writer Nigel Slater’s The Kitchen Diaries(2006) and the recent Tender Volume I: A Cook and His Vegetable Patch (Tender Volume II, to be released later this year, deals with fruits in a similar fashion). Nigel Slater, though hardly known in North America, is a prominent food personality in the U.K.—food columnist for the Observer, BBC television host and author of several award-winning cookbooks. His books are distinguished by his inspiring, personal writing style and an unpretentious approach to the subject matter—cooking and food in general. They avoid the tropes of celebrity chef cookbooks of the Jamie Oliver and Gordon Ramsay ilk, with their glossy, overly colourful pages, every third of which includes a photo of the author in some silly pose. Whereas the The Kitchen Diaries is organized chronologically by month, Tenderin contrast is organized alphabetically by vegetable, from asparagus to turnip through all the (mostly) common vegetables. It functions therefore like a reference book and yet is by no means an encyclopaedia; rather, it’s a personal account of the author’s relationship with each vegetable, both in his garden and his kitchen. 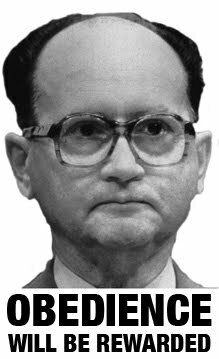 For each, Slater provides a few pages of preliminary notes. These include a blurb about his personal experience with the vegetable, some general notes about growing and harvesting it, a list of common varieties and their culinary properties, notes on how to clean and prepare the vegetable for use in the kitchen, and a list of ingredients that complement it well, but the bulk of each section is made up of recipes that feature the given vegetable. The preliminary notes are interesting and useful, but the recipes are where Tender really shines. Slater’s recipes (in metric measurements) are for the most part rustic, yet also eclectic, voluptuous and elegant. They’ll give you simple ideas on things to do with vegetables that you have never thought—say, rapinni with a blood orange cream sauce or celeriac remoulade with bacon… I drool on my keyboard. Most of the recipes are relatively quick to prepare, making Tender a useful resource for everyday cooking, not just for impressing weekend guests. There are seldom more than five or six ingredients, and the cooking instructions are concise and easy to follow, calibrated for people with a modicum of cooking experience. Tender is a great cookbook not just for the avid gardener, but also for the Community Supported Agriculture (CSA) box subscriber or the opportunistic grocery shopper (like me) who buys whatever is cheap and abundant at the moment. While it’s a vegetable cookbook, it’s by no means a vegetarian cookbook. And though vegetables are at the heart of each recipe, this is hardly what you might call “lean cuisine”—there is nary a recipe without cream, cheese, bacon, sausage or some combination thereof. Slater’s notes on selecting and growing the vegetables will be helpful to gardeners but are ultimately not very detailed; Tender will complement but not replace a good technical book on gardening. At 618 pages, it’s quite a brick, but a very attractive one replete with beautiful, matte-finished photographs of Slater’s garden, of the vegetables he grows, and of the dishes he prepares with them. (Slater himself acts as art director for his cookbooks.) With over 400 recipes, roughly a third of which are illustrated, you’re likely to find something new and alluring every time you open it. Find here https://college-homework-help.org/blog/write-essay lots of cool writing tips and related articles.